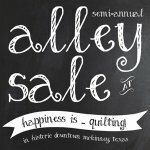 Happy Gram - Alley Sale Saturday! 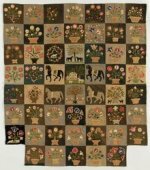 This 1865 reproduction quilt is stunning and finishes 59'' x 68.'' It is an 18-month Block of the Month program where you will receive three blocks per month. Included in the Block of the Month is all the cotton fabric and wool to complete the quilt top and binding. 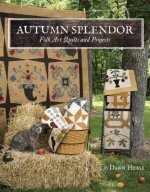 Learn more about this stunning quilt by visiting the link below. The Quilter's Ultimate Garage Sale will take place Saturday from 10 a.m. - 4 p.m. Shoppers mark your calendars to not miss out on these great deals. The Alley Sale is full so, there will be some great treasures to find. 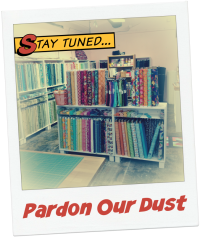 Looking for a great deal on fabric, kits, tools, etc., come and shop from your fellow quilters. Don't miss all the major markdowns at the shop. We've been busy marking down items throughout the entire shop so, there is bound to be something just for you. 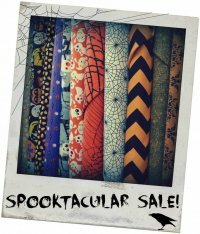 All Halloween fabric and Christmas fabric including kits will be 35% off. Let's get those holiday projects completed or get you started on a new one just in time for the season. 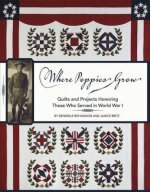 Select fabric, kits, patterns and books are also on sale. Don't miss out! It's not too late to join MJ and refine your piecing skills. Building Blocks I meets at 10 a.m. and Building Blocks II meets at 12:30 p.m. on Monday, Oct. 20. Building Blocks I will focus on basic piecing and blocks to perfect 1/4 inch seams and matching points. Building Blocks II builds on Building Blocks I by deconstructing more complicated blocks such as the Geese In Cabin and Eight Pointed Star blocks. Enroll today in Building Blocks I and Building Blocks II. Join Janet as she shows you the basic stitches of ribbon embroidery on Tuesday, Oct. 21, from 10 a.m. - 1 p.m. Ribbon embroidery can be used to embellish a number of different projects including your quilting projects. 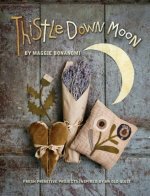 The silk ribbon, embroidery and beading expert at Happiness Is ... Quilting!, Janet enjoys the detail and dimension it adds to a quilt. Register today. This basic foundation paper piecing class will finally crack the mystery for you on how to successfully complete quilt blocks using this technique. Liz will take you step-by-step through this process. Join her Thursday, Oct. 23, from 10 a.m. - 2 p.m. to get started. Enroll today. Join Liz as she shows you how to weave fabric from your stash into rugs or table mats on Thursday, Oct. 23, from 2:30-5 p.m. to get started. If you have seen the newest braid-looking rugs at the shop, this is the class to take to learn how you can easily make one of your own. Enroll today.